This is a low profile, Constructed charcoal ballcap with hot pink mesh backing. Adjustable plastic backstrap. 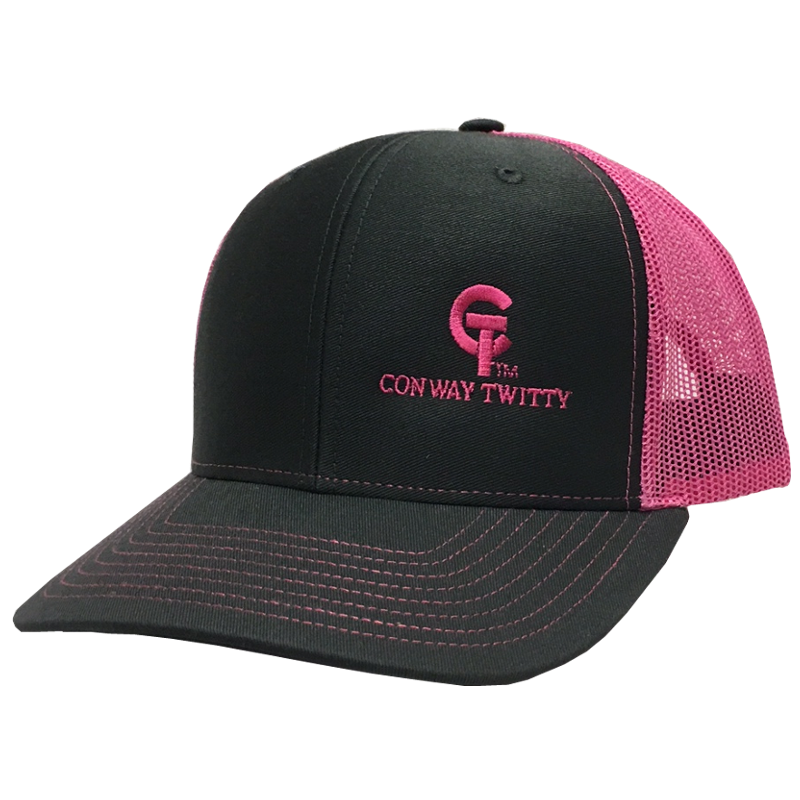 CT Conway Twitty logo embroidered on the front left side.